The chilling warning of the Islamic State issued to the Chinese government of launching terror attacks has turned spotlight on the ethnic cauldron that’s engulfing the Xinjiang province in western China. The dangerous conflict between the native Turkic Uighur and Beijing is symptomatic of the many dangers that China faces because of its demographic and political policies. While Beijing blames the extremist Uighur Muslims for the terrorist violence, the latter have accused the former of repression and use of excessive force against them. They also blame the Chinese Government of resorting to demographic means of subverting the Uighurs by destroying their ethnic identity in their own ancient land. Also, they have charged the Chinese Government with economic discrimination. For several years now, the Uighurs have called for secession from China. Taking a serious view of the Islamists’ call for secession of Xinjiang from China, Beijing has used, and continues to use, demography as a controlling tool. To this end, they launched the ‘Go West’ policy to encourage the migration of Han Chinese, which is the biggest ethnic group in China, to Xinjiang. The policy of increasing the presence of the Han Chinese in a traditionally Turkic Uighur-dominated province has paid rich dividends for Beijing. Such has been the impact of this policy that the Han Chinese, who constituted a mere 6 per cent of the total Xinjiang population in 1955, now make up about 40 per cent of the total population in Xiajiang! 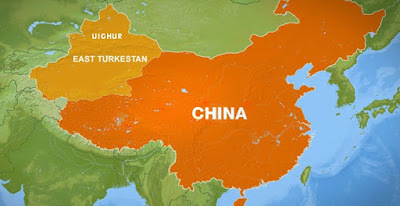 The sharp rise in the population of the migrant Han Chinese has led to a massive loss of economic opportunities for the native Turkic Uighurs. Today, most of the provincial administrative jobs go to the educated Han Chinese; also, the Han Chinese own major business and economic resources while the Turkic Uighurs languish on the margins of the society. The Uighurs are ethnically closer to the Islamic traditions of Central Asia than to the cultural traditions of the ethnic Chinese groups. However, most Uighurs practice a moderate form of Islam, unlike the ultra-orthodox Wahabbi type (brought in from Saudi Arabia by religious extremists), which is followed by the more radical elements in Central Asia. In Xinjiang, Beijing keeps a hawk’s eye on the mosques that dot the landscape of the massive province. The secret services, Beijing’s eyes and ears, are always on the prowl looking for secessionist and terror elements. Often, such is the control that Beijing extends over the mosques that whenever there is violence, they are asked to close down for an indefinite period. Muslims are barred from observing fast in the Muslim holy month of Ramadan; in some extreme cases, people are forced to shave off their beards and ordered not to wear any garment that makes for public display of their faith (like burqa/yashmak/hijab). The September 11, 2001, attacks in the U.S. and the subsequent launch of the War on Terror came in as a shot in the arm for Beijing. Soon after, in a master-stroke, Beijing labeled the radical Islamists, especially the East Turkestan Islamic Movement (ETIM) members, in Xinjiang as part of Al-Qaeda network. As a result, the U.S. and major European nations banned the ETIM. By aligning its local fight with the international effort against the Islamists, Beijing won the sanction of the international community in its fight against the extremist members among the Uighurs. In fact, Beijing cited the capture of 22 Uighurs, reportedly linked to Al-Qaeda, by the U.S. as evidence of the growing radicalisation of the Uighurs. However, Beijing suffered a major embarrassment when the U.S. released these 22 Uighurs, after a long detention period at the Guantanamo Bay prison, when it found that they were not terrorists! Over the years, Beijing has strengthened diplomatic ties , especially economic ties, with Central Asian nations, which are linguistically and ethnically linked with the Uighurs. To this end, it took initiative to form the Shanghai Cooperation Organisation (SCO), whose members include Kazakhstan, Turkmenistan, Kyrgyzstan, Russia, and Tajikistan (all former Soviet provinces with majority Muslim populations). Over the years, its diplomacy has paid off as these countries have cut off potential sources of support for the Uighurs from radical sources in their territories. In the recent past, China also said, for the first time ever, that the Uighur separatists underwent training in Pakistan’s numerous terrorist training camps. Given that Pakistan considers China as an all-weather friend, the accusations shocked the Pakistani establishment. However, this accusation is unlikely to change the relationship equation between the two countries, though it is widely believed that Pakistani leaders have been told by their Chinese counterparts in no uncertain terms that such terror camps which export extremists to fight the Chinese State should be shut down immediately. China is increasingly worried over the developments in Xinjiang. 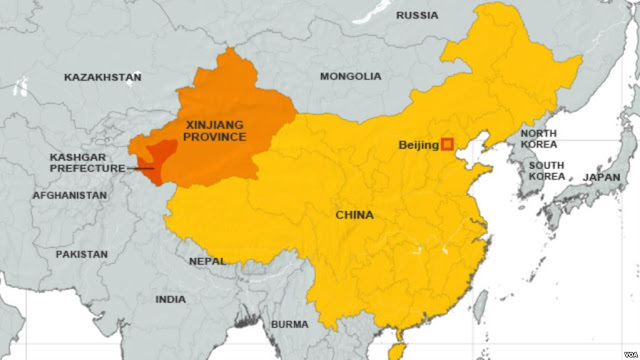 It believes that if the Xinjiang problem is not tackled in the ‘right’ way, it has the potential to ignite similar fires around its vast peripheral areas. It is a fact that political rights need economic contentment, because together they give a sense of belonging and empowerment to all involved. Appropriate management of the needs and aspirations of varied groups is critical to the State’s ability to ensure good governance and provision of security. In the light of this, the major challenge that China today faces is to absorb and resolve the clashes that may arise between contending interests between the Turkic Uighurs and ethnic Chinese groups. In its first-ever direct threat against China, the Islamic State’s Uighur fighters have vowed to return home to Xinjiang, a province in western China, to launch jihad against China. The Uighur extremists, in a video, have vowed to ‘shed blood like rivers’ against the Chinese State. The Islamic State (IS) is also known as the Islamic State in Iraq and Syria (ISIS)/Islamic State in Iraq and the Levant (ISIL). For the sake of simplicity, I have used the name ‘Islamic State’ in this explanatory article. The Uighurs in China accuse the Chinese government of suppressing their voices and unleashing repression against them. So, who are the Uighurs? The Turkic Uighurs are a predominantly Islamic community with deep racial and ethnic ties to Central Asia. For centuries, the Uighurs have co-existed with about 12 other ethnic groups in Xinjiang. Till about 1912, Xinjiang was a part of the Qing Empire. After the demise of the Qing dynasty in 1912, the status of Xinjiang has swayed between autonomy and complete independence. In 1933, Turkic insurgents broke free from Chinese control and established the Islamic Republic of East Turkestan (also known as the Republic of Uighuristan or the First East Turkistan Republic). The following year, China reabsorbed the region. In 1944, emboldened by the support of the Soviet Union, Turkic Uighur rebels once again declared independence to set up the Second East Turkistan Republic. However, the Turkic Uighurs’ dream of an independent state was short-lived. In 1949, the Communist Party of China (CPC) came to power after establishing full control over the whole of China and creating the People’s Republic of China (PRC). The same year, the Communists regained complete control of Xinjiang while in 1955, Beijing classified Xinjiang, which accounts for about 16 per cent of the country’s area, as an ‘autonomous region’ of the People’s Republic of China. Today, the Xinjiang Uighur Autonomous Region (XUAR) is home to about 2.3 crore people from thirteen major ethnic groups, the largest being the Turkic Uighur community. Nostalgic of the times when there was an independent Xinjiang, some Uighurs see China’s presence in the province as a form of imperialism. The more radical among these, like those belonging to the extremist East Turkestan Islamic Movement (ETIM), have called for secession from China. The practice of religion in a Communist State is either undercover, if such practice is illegal, or controlled by the State, if such practice is allowed. China practices the latter method; it tightly controls the citizens’ right to practice faith. In Xinjiang, China keeps a hawk’s eye on the mosques that dot the landscape of the massive province. The secret services, Beijing’s eyes and ears, are always on the prowl looking for secessionist and terror elements. Often, such is the control that Beijing extends over the mosques that whenever there is violence, they are asked to close down for an indefinite period. In 2014, the Chinese government banned Muslim staff from observing fasting and engaging in other religious activities in the Muslim holy month of Ramzan (also Ramadan). The practice of one’s faith is a matter of personal choice, at least for folks like us in India; in China, it is a matter of State policy. The second and concluding part of this article will appear tomorrow. Gurmehar Kaur says that war, not Pakistan, killed her father; she also said that she is not afraid of ABVP and that students across the country are with her. 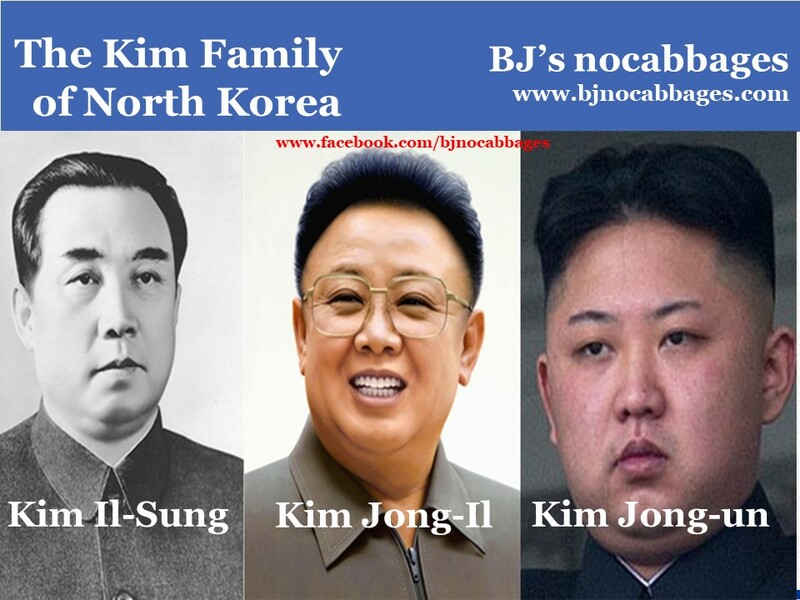 It is preposterous to say that war killed him - as if war happened by itself. The girl's comment is not anti-war; it is specially anti-ABVP as she is a member of AISA. What wrong did Virendra Sehwag did? What crime did Randeep Hooda commit in (applauding and) retweeting Virendra Sehwag’s tweet? Do the Leftist-Liberals think that freedom of speech is their right only? The truth is that the Left-Liberals abuse anyone who does not agree with them. It is well-known that the Leftist-Liberals show a deep antipathy toward anything non-conformist (with their world view). If the girl has the freedom of speech to flaunt her anti-ABVP views, so should anyone else, even those who are critical of the girl’s views be. Freedom of speech is a two-way street. It cannot be that the Leftist-Liberal muckrakers have the monopoly on a right guaranteed by the Constitution of India on all citizens of India. I will not condone the behavior of anyone who threatens the girl. It is fair to disagree; it is wrong to be abusive. The BJP/ABVP activists who indulge in violence/issue threats of violence should be reined in; in a democracy, there is no place for violence to ‘settle’ scores (and points of disagreement). Perhaps Ms Kaur does not realize that those who claim to support her and stand by her today will disappear tomorrow; her so-called supporters will desert her soon after she had served their purpose. Unfortunately, she may have to live with this episode even as her Leftist-Liberals desert her to catch their next scapegoat. To know more about her political backers, click here. The Explainer: What is the Govt's Contingency Fund? 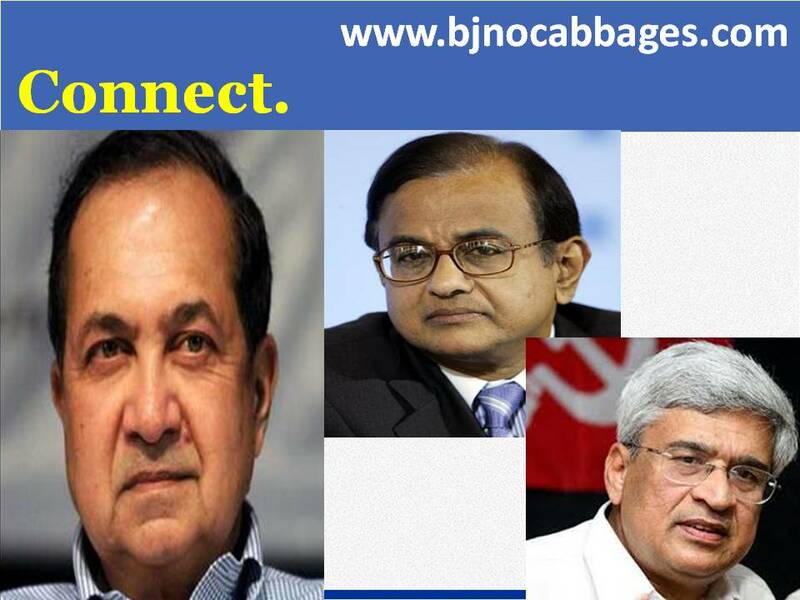 What are the different types of accounts of the Government of India? List of disputes between China and the U.S.
Why a Fiscal Deficit is dangerous? In India, there is hardly any economic event that captures popular imagination as much as the Union Budget. In this Budget series, The Explainer will focus on the complex budget jargon that puts off even 'interested-in-budget' souls. To put it in perspective, this article is being written on 2 February 2017, i.e., in Financial Year 2016-17. This is also called Fiscal Year ’17. In the same way, the financial year for 2017-18 will start on 1 April 2017 and will end on 31 March 2018. So on 1 April 2017, we will enter Fiscal Year ’18. 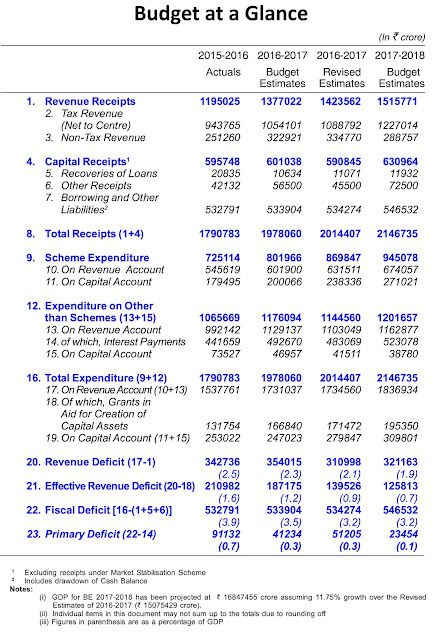 Why is the Union Budget usually presented in February? The Economic Survey is an assessment of the performance of the Indian economy in the fiscal year going by. For example, the Economic Survey 2016-17 presents an assessment of the performance of the Indian economy in that fiscal year (i.e., 2016-17).